Thank you for visiting AMARPRAKASH Website! We are currently in the process of updating our Website to comply with requirements under the Real Estate (Regulation & Development) Act, 2016 (“RERA”) and the rules and regulations formulated there under. Which have been brought into effect from 1st May, 2017. While enough care is taken by the Company to ensure that information in the website is up to date, accurate and correct, readers are requested to make their independent enquiry before relying upon the same. This website is for the purpose of guidance about our product only. It does not constitute part of an offer or contract. Design and specifications are subject to change without any prior notice. Computer generated images are the artist's impression and are an indicative of the actual designs. Further the actual design / construction may vary in fit and finish from the one displayed in the information and material displayed on this website. They are only for general information and are subject to change. By no stretch of imagination, the information on the website shall be construed as an advertisement and/or invitation or offer for sale. You are therefore, required to make independent enquiries to verify all the details, including but not limited to area, amenities, services, terms of sales, payments and other relevant terms prior to concluding any decision for buying any unit(s) in any of our projects/ developments. Till such time the details are fully updated, the said information should not be construed as an advertisement. You are requested to independently verify all information before taking any decision based on the information. In no event will the Company, its management, its associate companies and /or its employees be liable for claim made by the users including seeking any cancellation for any of the inaccuracies in the information provided in this website, though all efforts have to be made to ensure accuracy. To find out more about projects/developments, please feel free to call +044 4000 5000 or visit our Corporate Office / Sales office during working hours and get in touch with authorized AMARPRAKASH sales representative. 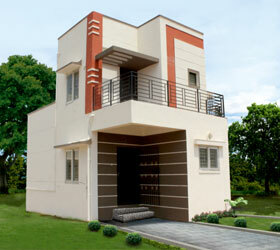 Property for sale in Chennai with Proven returns. Chennai one of the most populated cities in India is doing really well in the property market especially during recent years. It is the dream of every Chennai resident to own a property in Chennai but when it comes to pricing owing a property is almost impossible for a middle class earner. To make the dream come true the builders are coming up with new projects in Chennai suburban area. The apartments for sale in Chennai suburbs are much affordable compared to any other properties in Chennai. The advantages of owning a Chennai property is not just stopped with low prices, there are many added advantages which are discussed below. The IT section in the Chennai city is growing in a rapid speed, thanks to the multinational companies coming up to Chennai. The growing IT is attracting immigrants from not just the nook and corner of Tamil Nadu but also from the rest of India. On the whole the IT industry is somehow or the other the root cause behind the flourishing property market and its prices. The IT employees are very much ready to buy a property in Chennai especially in the Chennai suburbs because the IT hub is located very close to Chennai suburbs. If you are an IT professional and if you are looking for a property to buy in Chennai then you have number of properties available to choose from. The appreciation of Chennai properties is going up every year. The property bought for twenty lakhs before ten years in the Chennai suburbs today's worth is more than Crore rupees. This price appreciation of properties is not common everywhere in India; Chennai is one among the few cities which has shown great appreciation even in recession period. Buying a property in Chennai is always the best idea for anyone who is looking for a best investment in Chennai. The other added advantage of buying a property in Chennai is the accessibility to all facilities needed for a family living. Whatever you name it, 24 hour water facility, power facility, you are sure to find that in Chennai suburbs. Renowned Schools, Hospitals, Colleges, Universities, Restaurants, Shopping mall are found abundant in the Chennai suburbs. If you are a person who would like to have facilities just near your home then buying a property in Suncity is the best option. Call us on 044 4000 5000 to get more information regarding this property.